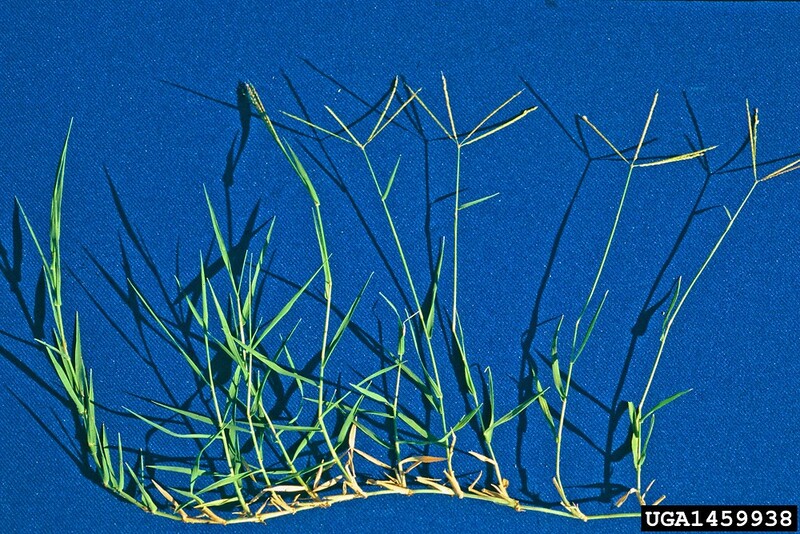 Cynodon dactylon is a perennial, C4 grass (Downton 1971), gray-green, aggressively colonial from above and below ground horizontal stems (stolons and rhizomes) much branched, forming mats, ends of stems ascending to erect, stems smooth, very tough, rooting very deeply at nodes (Gargiullo pers. obs.). Leaves alternate, 0.2-0.4 cm wide, length very variable, usually conspicuously ranked along either side of stem, ligule a ring of hairs. Cynodon dactylon(Bermuda grass) plant in bloom. By Steve Dewey. Copyright © 2018 CC BY-NC 3.0. Bugwood – www.bugwood.org (Accessed 2/2018). Flower spikes 3-5 cm, slender, 4-6 radiating in a palmate arrangement from top of flowering stalk (much like Digitaria), spikelets on one side of spike, 1-flowered, glumes about 0.2 cm, lemma 0.2 cm, often hairy on keel, flattened; inflorescence of spikes radiating from axis, flowering stems erect, 10-30 cm tall. Frequency in NYC: Very infrequent in natural areas but a common street weed. 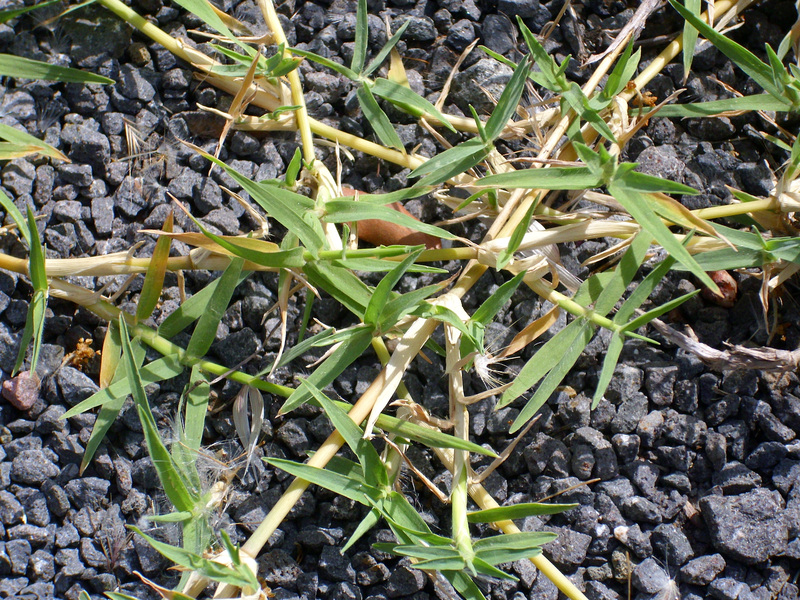 Habitat: Lawn grass. Edges, disturbed areas, tree pits, curbs, vacant lots, soil pH 5.5-8, tolerant of fire, drought, and anaerobic soil, moderately tolerant of salt, intolerant of shade (USDA, NRCS 2010).